The title for Jonti’s album could not be more appropriate. A lighthearted, upbeat word, Twirligig captures the beauty of this record. Clocking in at just shy of half an hour, the songs are chaotic hints of sunshine and fuzzy, layered bliss. There’s a definite vibe to the record that holds it together well. Sometimes this makes it difficult to distinguish between tracks, but that just means that it’s an album to be heard in its brief entirety rather than taken song for song. It would be a disservice to analyze some individual tracks when they’re over so quickly. A standout exception is “Cyclic Love,” which features the rapping of Otayo Dubb. 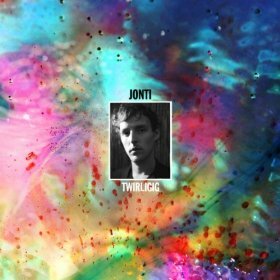 Jonti’s churning, atmospheric beats provide the perfect background for a hip hop track, and the song is the perfect way to break up the flow of Twirligig just for a little while. Ultimately, this is a great album to chill out to, especially if you’re in the mood for music that will leave you in a warm mood. Even on his debut, Jonti has demonstrated that he has a sound of his own and a powerful command over the senses.